Level 1 Fire Restrictions in effect! NO CAMPFIRES OR OPEN FLAMES IN THE STABLING AREA! ****Generators in pickup bed or in trailer only - not on ground! Please help us keep our forest safe!!!! THIS IS A CCHT POLICY AS WELL!!! Stabling Summer 1 Overview Chart - Click here! All entry questions please please contact our secretary, Missy. For early arrivals and all stabling questions and requests contact Laura B . For all other questions please contact our awesome organizer, Alice Sarno! Competitors! ~ Although much work will be done on the tracks for XC ~ It is still forest and terrain. Pads or pour in pads may be recommended. 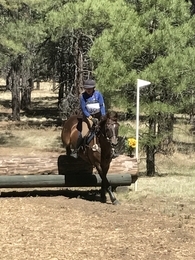 Area X Adult Rider Cocktail Party will be hosted by Four Peaks Farm - Friday - July 6th at 5:30pm - Location Barn G - West Side. Drawing for Volunteers!! Great Prizes - including a free entry to CCHT!!! We need your support - and it is appreciated!!! 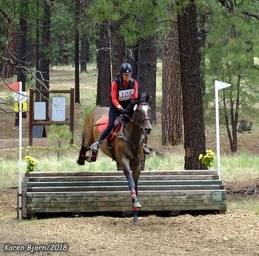 Shavings will be sold through Coconino Horse Trials - Please include with your entry - Shaving are $10 a bag. It is STRONGLY recommended you make arrangements well in advance of your arrival and include with your entry if you would like your shavings pre-delivered. Request received after July 8th may not be delivered prior to your arrival. Golfcarts may still be available - contact Alice Sarno if you would like one!!! Camping is $20 per night per rig/tent- if you are camping you MUST include with your entry check. You will receive a pass in your packet to display throughout the show. Any incomplete entries WILL be charged $35 incomplete fee. This includes missing USEA numbers, payments, qualifications, etc. FORMS MUST BE FILLED OUT COMPLETELY AND ALL FEES MUST ACCOMPANY ENTRY. NO CAMPFIRES OR ANY TYPE OF OPEN FLAME IS ALLOWED THE STABLING AREA!